Follow the full recipe here. Use your Evo Oil Sprayer to spritz your pot with olive oil before adding ingredients! Follow the full recipe here. 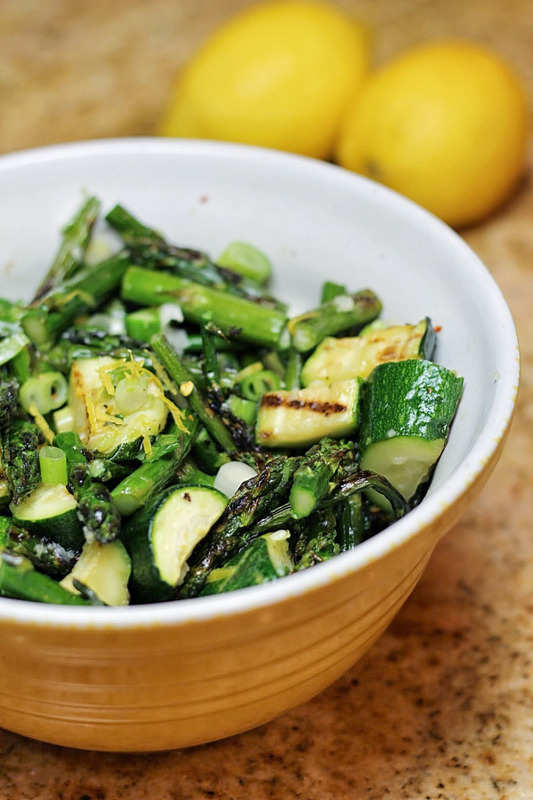 Use your Evo Oil Sprayer to spritz the zucchini and asparagus with extra virgin olive oil before grilling. You can also use your Evo Oil Sprayer for the dressing. Simply add all vinaigrette ingredients to your Evo Oil Sprayer and shake vigorously to incorporate. Spritz over the grilled vegetables to taste! Follow the full recipe here. Add your dressing to your Evo Oil Sprayer and spritz over skewered salad! Follow the full recipe here. Use your Evo Oil Sprayer to spritz the be-headed garlic with oil pre-roasting, and to slightly spritz you skillet and the shrimp with oil to coat before grilling! Follow the full recipe here. Use your Evo Oil Sprayer to spritz the halibut with oil to coat! Follow the full recipe here. Add all dressing ingredients to your Evo Oil Sprayer and shake vigorously to combine. Spritz prepared salad with dressing to taste. Follow the full recipe here. Add dressing ingredients to your Evo Oil Sprayer and shake vigorously to incorporate. Spritz dressing over prepared salad to taste!